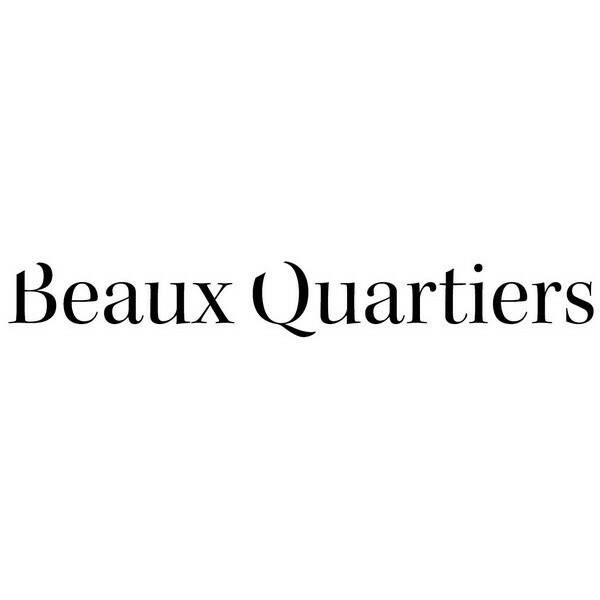 Paris Match talks about us ! 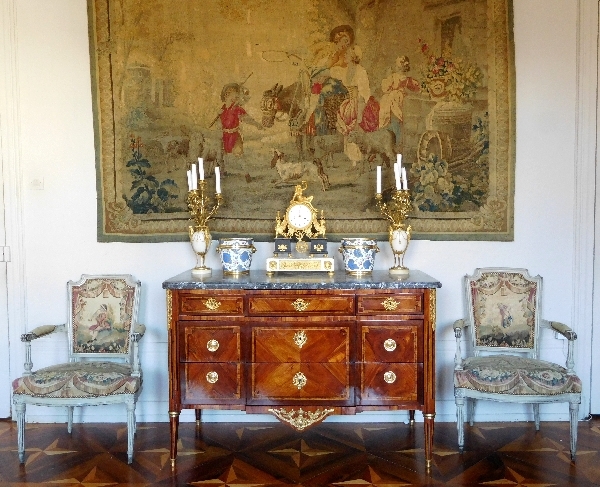 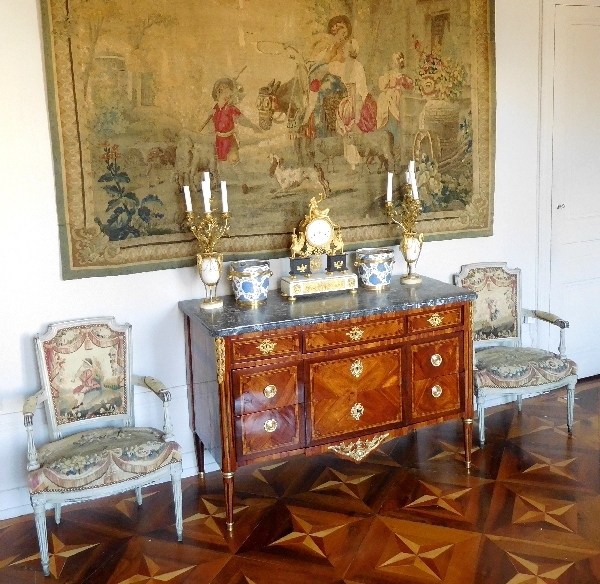 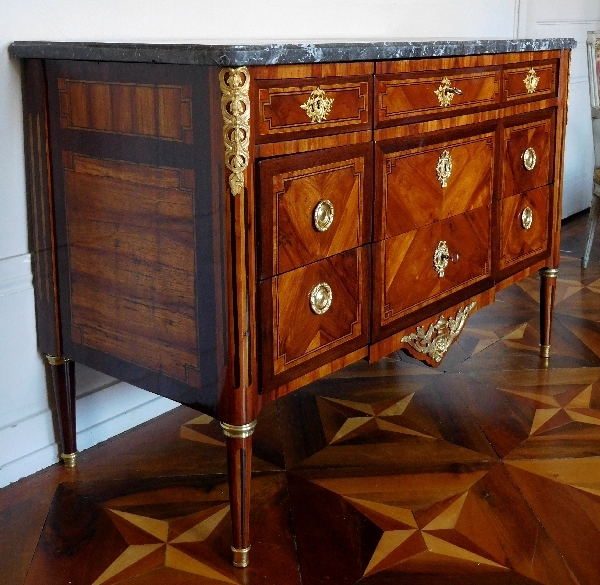 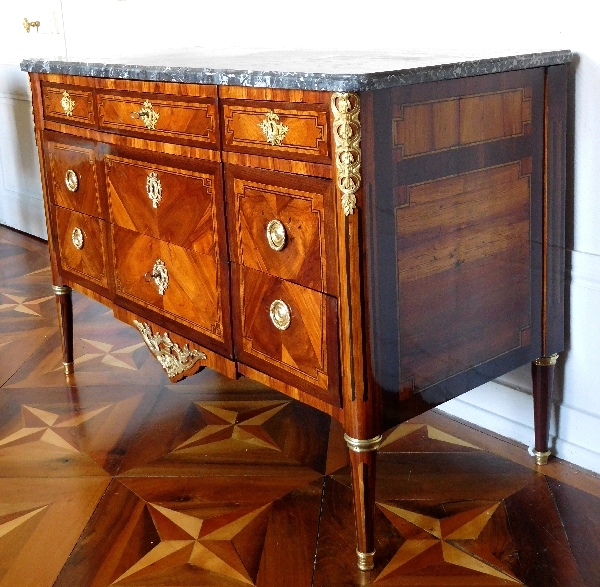 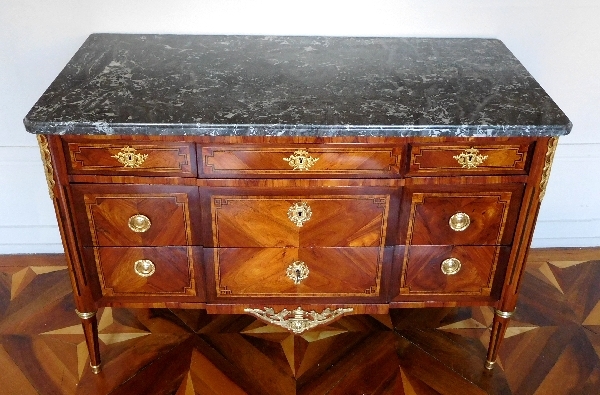 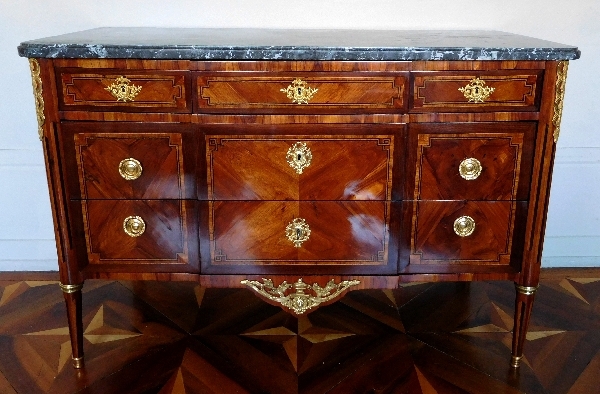 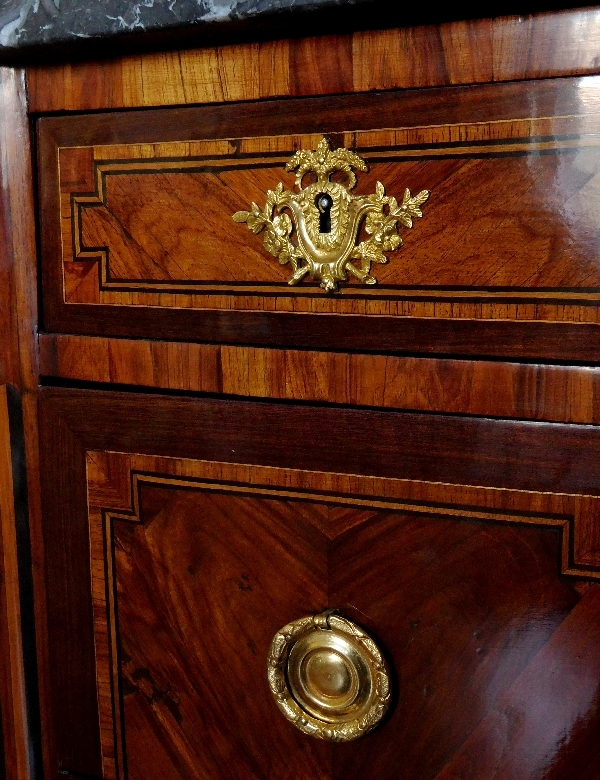 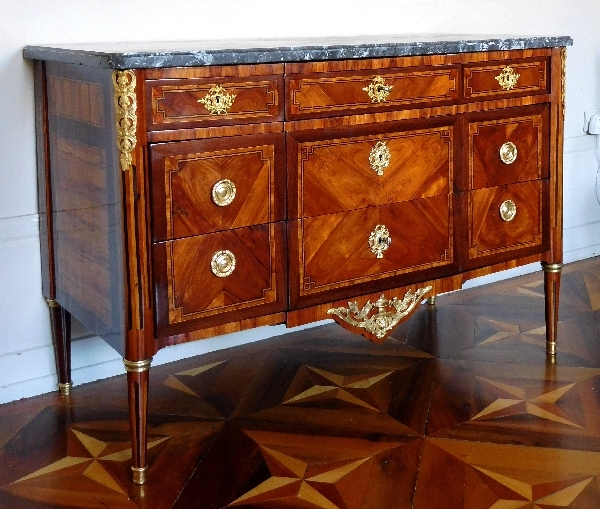 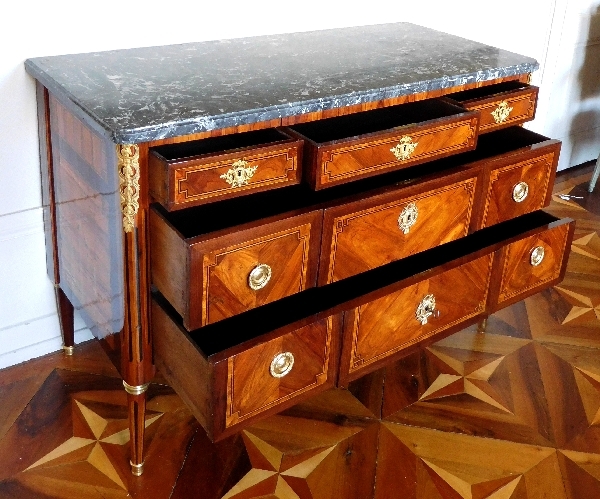 Elegant rosewood marquetry Louis XVI commode / chest of drawers, gray marble. 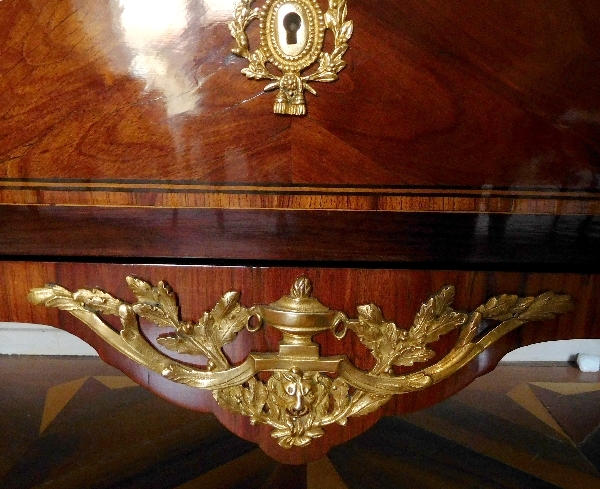 France, late 18th century. 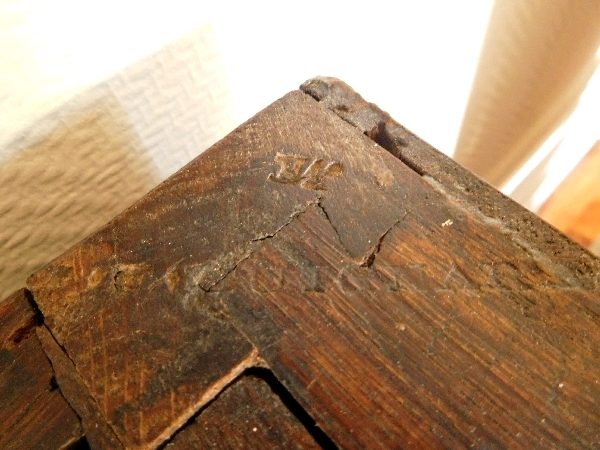 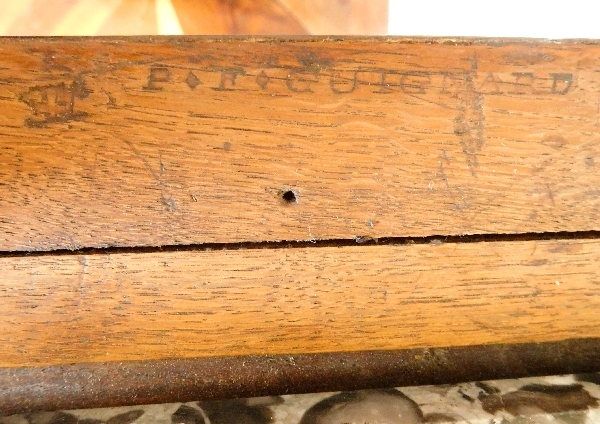 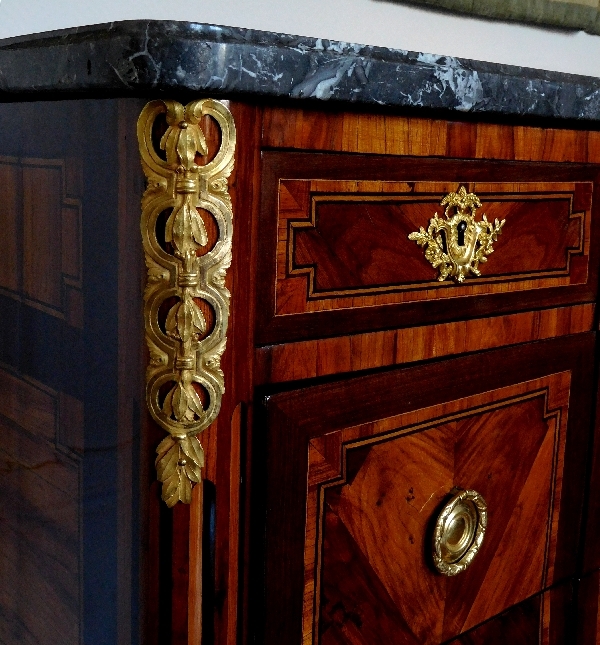 It bears the signature of a major Parisian cabinetmaker Pierre François Guignard, was received master cabinetmaker in 1767. 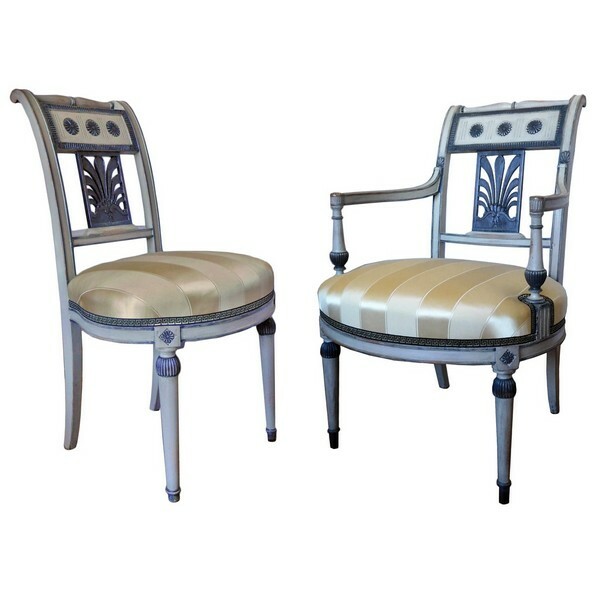 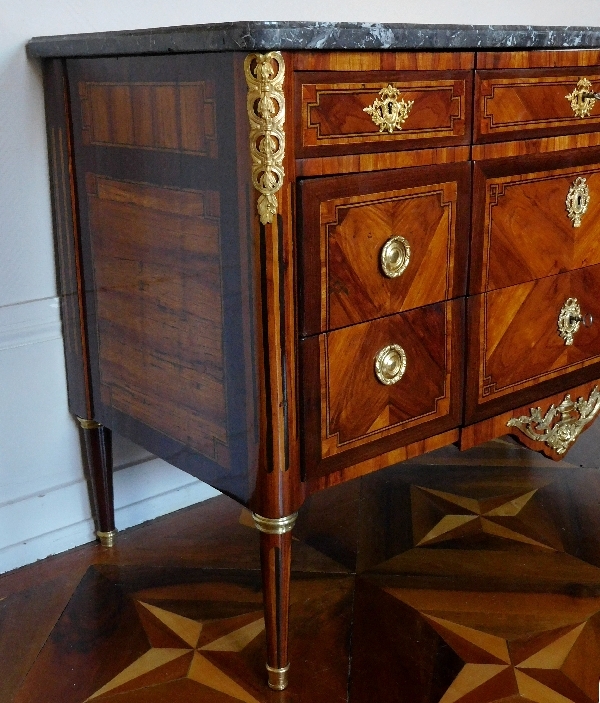 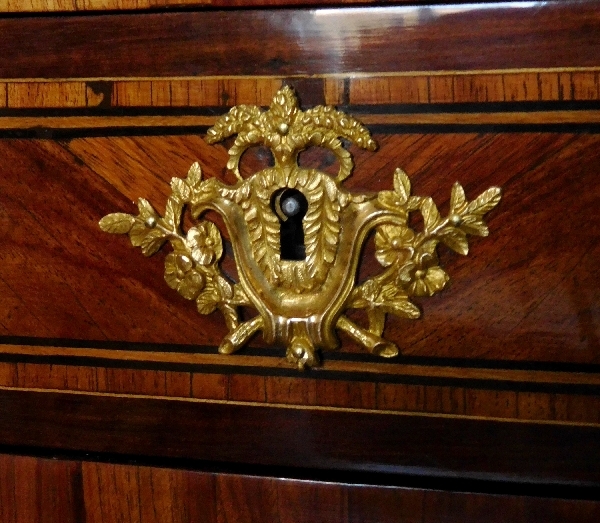 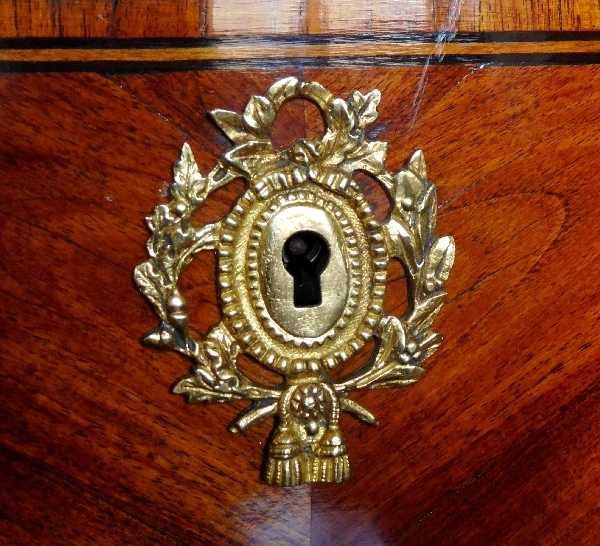 Elegant shapes, perfect proportions, top-of-the-range commode : no wonder that piece was made by a great Parisian cabinetmaker. 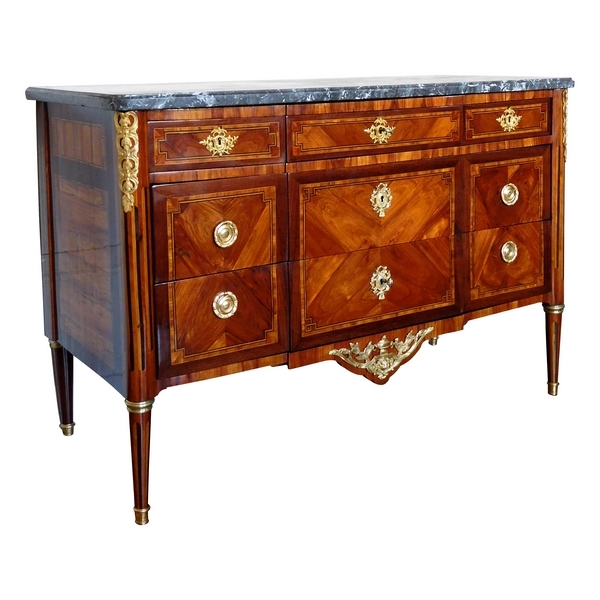 Shipping depends on our location : please contact us to know the total amount and organize delivery with us.